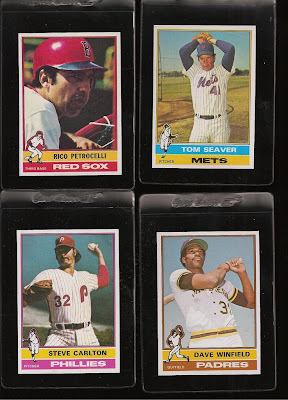 1976 was a memorable year for many reasons. It was the 200th anniversary of the United States. 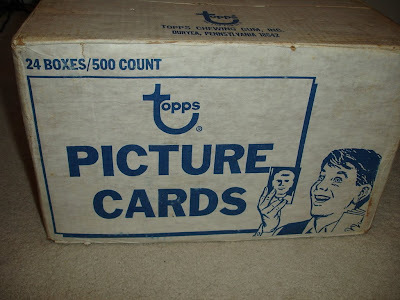 It was the year that I bought my first pack of baseball cards. And I'm sure there are many other important things that happened in 1976 too. It was probably about the time that Randall "Pink" Floyd and Wooderson were hitting the Aerosmith show in Houston, but that's another story. 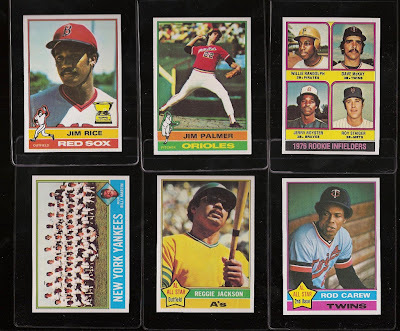 This story is about a sports card collector named Felicia. If you don't frequent the PSA message boards, you probably wouldn't know that Felicia recently mailed out unopened 1975 cello packs (some with stars on top) to collectors who had recently lost their jobs. Talk about a great act of generosity. Felicia also had an entire case of unopened 1976 vending boxes. 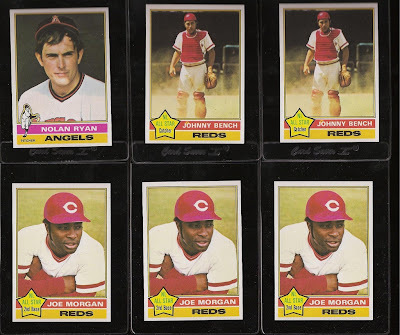 If you want to get an idea of how valuable even one 1976 Topps vending box is, take a look at this and multiply by 24! 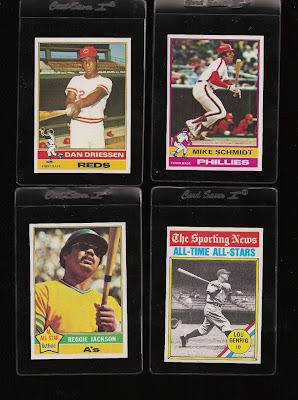 I love the '76 set and have just recently started to collect it. 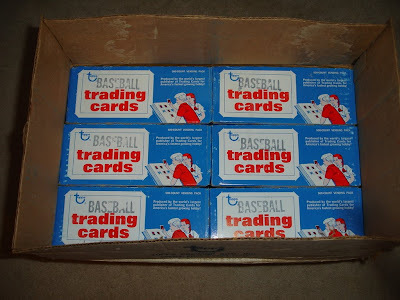 It is almost impossible to do here in Calgary, and ebay is a lost cause.